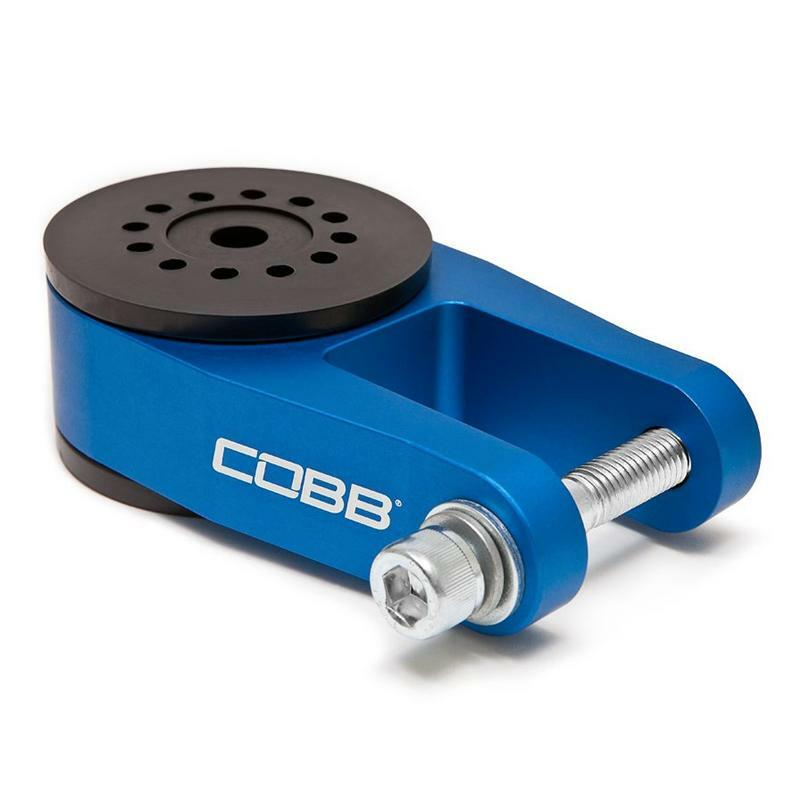 The COBB Rear Motor Mount is the best way to minimize engine movement, improve traction, and reduce wheel hop without major impact to NVH. Typical bushing designs can rattle your teeth out at idle or during throttle input. The COBB RMM utilizes unique “voids” custom molded into the 85A durometer bushing to absorb vibrations, but still reduce engine movement to aid getting all the power to the ground. The beautifully machined 6061 billet aluminum mount with zinc hardware will make you sad you have to hide it under your car, but you will be grinning at every stop light!